One of the major factors that users of the asphalt milling machine look for is the quality of the wear parts and more so the cutter tools. Among the key things that they look is the condition and quality of the cutter tools. The material used and the manufacturing processes are among the key things that buyers look for. High strength and hardness are some of the most significant benefits of heat treatment cutter tools. By taking tools through this process, it helps to harden the structure of the metal that is used for the construction of the milling drum. With that, the material gets incredibly high strength and hardness features which are crucial for milling tough conditions. Therefore, if you are looking for milling that offers high strength and hardness features, then a heat treated machine would be perfect. 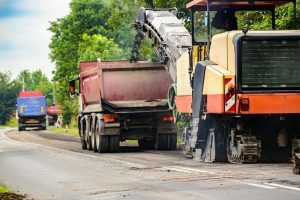 The cost of maintaining an asphalt milling machine can be extremely high if proper measures are not taken. In fact, this is one of the things that determines how much you make as a business especially if you are doing on a commercial basis. That is why it is recommended that buyers go for wear parts that offers a higher resistance to wear and abrasion. That is what heat treated milling drums provide. Due to the high level of hardness and strength, these wear parts are able to withstand high wear abrasion. Therefore, the cost of maintenance is significantly reduced. The service life of wear parts is another factor that any buyer of an asphalt milling machine should always look for. You need to invest in the kind of milling drum that offers high longevity. That is because the cost of replacing the milling drum can be huge if you replace it often. Due to their high hardness and strength, heat treated milling drum does not wear down that easily. They offer a high resistance to wear and abrasion which makes them last for long.